A car’s brakes are an integral part of the vehicle’s operation and, more importantly, your safety. New and properly maintained brakes should not ever have to be a safety concern, and yet faulty braking systems have resulted in a seemingly perpetual string of accidents over the years. These accidents can have profound and long-lasting consequences on a driver, passenger, or any victim involved. Therefore, when someone or something is liable for unexpected brake failure, it is only reasonable that they are held accountable. Our Brooklyn personal injury attorneys are devoted to unearthing the cause of an accident, especially when it is caused by a person’s or company’s negligence. Bear the following points in mind if you are worried about your own brakes failing, or if you are seeking compensation for an accident recently caused by similar circumstances. In most cases, brakes fail for one of three reasons. First, brakes may fail simply due to wear and tear. The longer and more often a car is used, the less effective its brakes will be; if certain parts are not eventually replaced, such as the brake pads, the vehicle may not be able to stop reliably or effectively. In such instances, a car’s owner would most likely be held responsible for his or her own lack of proper maintenance. However, this is rarely the case as brakes tend to last many years before showing signs of wear, and car owners are very likely to replace the necessary parts during this time. Another reason for brake failure is negligence on the part of a seller or mechanic. If a car’s brakes are worn and in need of replacement, it is up to a professional to make this fact clear when interacting with a customer. Selling a used car with faulty brakes is a clear indication of negligence, while mechanics are also obligated to let their customers know of any such problems when working on the car. Finally and most importantly, brakes can fail due to an inherent problem with the product. Unless the malfunctioning product has already been recognized and recalled by the company, it poses an unexpected and potentially deadly threat to drivers. If you suspect an accident was caused by brakes that should not have failed, there is a good chance that you can be compensated for damages. If you suspect that brake failure may have led to your accident, it’s important to speak with experienced auto accident attorneys as soon as you can. By investigating your accident soon after it occurs, we can immediately begin building evidence for its root cause. We will obtain police reports, speak with witnesses, consult auto experts, analyze the conditions of your accident, and take every step needed to pinpoint why your brakes failed. In many instances, a product liability suit can be filed against the manufacturer. 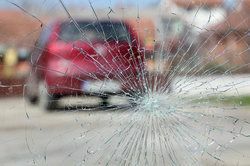 If many other drivers are suspected to be at risk or have suffered from similar incidents, punitive damages may be sought as well. Depending on the nature of your injuries or the injuries of a loved one, additional compensation may be sought for pain and suffering or wrongful death. Don’t hesitate to seek legal recourse if you are made to suffer from another’s mistake. With a successful case, you can relieve yourself of financial responsibility and regain some peace of mind after an accident. Contact our office to speak with one of our legal professionals right away.